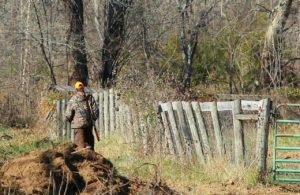 As a property owner have you ever thought about allowing hunting on your land? If you have, you may not have realized the risks that comes with hunting on your property. These risks stem from accidents that can occur while others are on your property. Although it is just an accident, people may seek compensation. If the compensation is not what they expected, a lawsuit may follow. It is important that you have the right protection so you and your family are not at risk. For example, you have a hunter on your property who just killed a deer and is cleaning the carcass when they accidentally cut themself. The hunter decides to file a lawsuit because they feel there was not enough first aid procedures or boxes on site. They also claim that they would not have cut themselves if they had a specified location to clean and prep the carcass. The hunter is claiming you are at fault for the incident. Now you have to fight this claim by hiring an attorney and possibly going to court. Now additional unexpected expenses are incurred to protect you and your property. The biggest financial risks for the property owner is having to pay compensation because the insurance you had was not enough or the correct type. If a hunting accident occurs on your property, your homeowner’s insurance policy may not allow for hunting on your property which in turn causes the claim not to be paid. Therefore, any legal, medical or compensation that must be paid to the injured party is now the responsibility of the property owner. These payment can be devastating to you and your family. Another example of a financial risk is allowing ATVs on your property. Most automobile policies do not cover ATVs. So if you have two hunter’s on your property and they run into each while hunting, your auto policy may not cover the damage to the four wheelers. The hunters involved may look to you as the property owner to settle the damages and any medical bills. The property damage can be significant. If a hunter is on your property and they start a fire but the fire is not out all the way your entire property is now at risk. A fire will not only cost you financially but would be devastating because it could displace you and your family if the house is burnt down. Other property damage can include hunters getting too close to the buildings on the property and accidentally shooting out the windows or hitting the building itself. Not only do you have property damage, you now have an unexpected financial cost to fix the windows or building where the bullets hit. 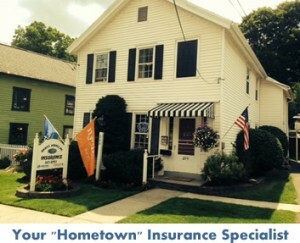 As a property owner you have property and automobile insurance to cover your property. But that coverage may not be enough or even cover your property if you allow hunting on your land. There is a specific insurance that covers the land owner and hunters if an accident or property damage occurs from hunting. This insurance is hunting insurance. Having hunting insurance is an important piece of security for a property owner. You hope that you will never need to use it but you have the extra protection for you and your family. Contact us at http://bieritzinsurance.com/contact-us/ with any questions regarding hunting insurance or to establish a policy.